If you are contemplating a divorce, you may have been advised to consider mediation as a way to settle the important issues such as division of property, assets and debt, development of a parenting plan (or custody agreement) and even determination of appropriate child and/or spousal support. You may have heard that mediation is less expensive and takes less time than litigation, but you may still have questions about the process and how it works. Johnson Mediation specializes in offering professional divorce mediation services and can help you navigate the entire divorce process from start to finish. Both participants meet with a neutral mediator in a series of mediation sessions, usually several weeks apart. It is important to note that both parties must agree to mediation and it is helpful to find a mediator that both parties agree on. 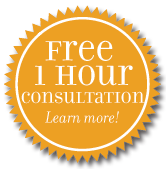 Each session is generally two hours long and you can expect the entire mediation process to require 3-4 sessions over the course of 6-8 weeks. 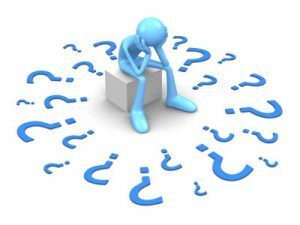 You and your divorcing spouse identify the issues that need to be resolved and prioritize them. There is time for each of you to gather relevant information for future meetings (financial information, etc.) and outside experts can be used (attorneys, appraisers, accountants, etc.) during the process. The mediator does not influence the outcome of the process but can provide you with resources and information about the legal process, the court system and common ways issues can be resolved in the divorce process. At the end of the mediation process, when the terms of the divorce have been settled, the mediator is responsible for documenting the entire agreement and sending to both participants (and attorneys if necessary) for review. Mediation is entirely confidential and can be utilized in cases that are simple or complex. The most important factor is that both parties are willing to communicate and compromise. Johnson Mediation provides safe and constructive mediation and support to couples navigating divorce. Our goal is to help couples solve disputes keeping in mind what is best for each individual and your children (if you have them). We strive to help couples make productive and positive decisions that can help your entire family move forward, rather than looking back. For more information or to schedule a free one-hour consultation, call Johnson Mediation today at 952-401-7599.